The photovoltaic power plant, one of the largest in the world, will have 800 MW of nominal power. 2 July 2018. 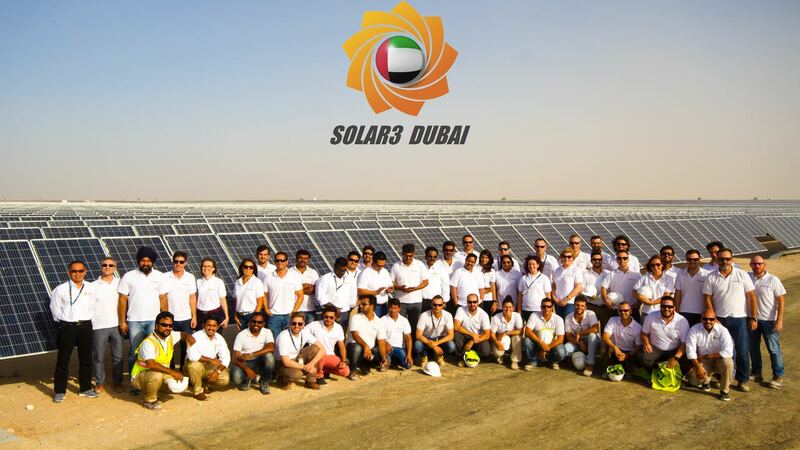 Grupo Gransolar (GRS), Acciona and Ghella have finished work on Plot A of the Mohammed Bin Rashid Al Maktoum Solar Park III. This first stage includes the initial 200 MW of the total 800 MW of nominal power (1,054 MW of peak power) that the project will have upon completion. 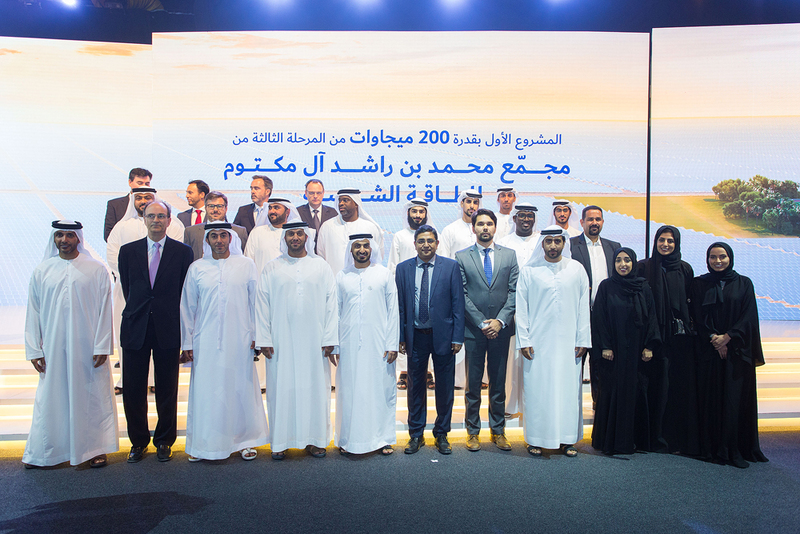 The inauguration event was attended by Sheikh Mohammed Bin Rashid Al Maktoum (Vice President and Prime Minister of the United Arab Emirates, and the Ruler of Dubai), Dr. Sultan Al Jaber (UAE Minister of State and Chairman of Masdar), Saeed Mohammed Al Tayer (Managing Director and CEO of DEWA), and a number of ministers and directors-general of UAE government. 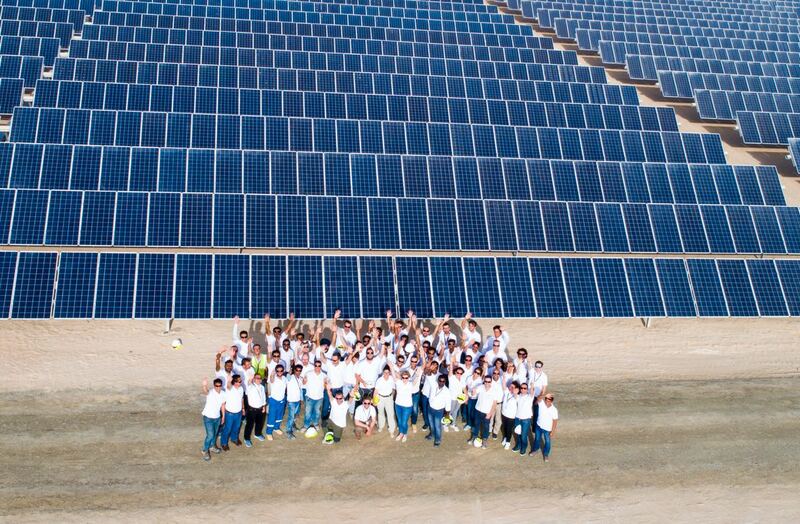 In December 2016, the consortium formed by Grupo Gransolar, Acciona and Ghella, and led by Grupo Gransolar, was awarded the contract of the Mohammed Bin Rashid Al Maktoum Solar Park III, with 800 MWac of installed power, carried out under the turnkey or EPC (Engineering, Procurement and Construction) model, for a consortium comprised of the Dubai Electricity and Water Authority (DEWA), Masdar and EDF. Completion is expected for the first quarter of 2020, prior to the opening of the Dubai EXPO. During the first stage, 806,992 photovoltaic panels and 198 inverters were installed, as well as the 132kV grid connection substation using innovative GIS technology. At project completion in 2020, over 3 million photovoltaic panels with single-axis trackers (mechanical devices that orient the panels) will have been installed for clean energy generation. Once operational, the facility will prevent the emission of approximately 1.4 million tonnes of CO2 into the atmosphere a year. “This project requires an enormous effort in work and coordination, both because of its size and because of its location in the desert”, said Javier de la Cruz, Grupo Gransolar’s manager in the United Arab Emirates. “We are very satisfied with the work done during this first stage. We are aware that this plant will be an example of photovoltaic power to be emulated, and we are proud to be a part of it”. David de Lara, Middle East director at ACCIONA Industrial, highlighted the importance of the construction of this plant for the group: “This is a very important milestone for us. We trust that this project will become a reference in the region and that other countries and private customers will turn to renewable energies”. “We are very proud to have completed the first stage of such an emblematic project as this one and to have it achieved without compromising on quality and safety” said Ghella’s Middle East area manager, Marco Fontana. “2,5 million man hours without an accident is an important milestone that reflects one of the core values of our Company”.